Located in the Spring Arts Tower amid the Historic Core of downtown Los Angeles, the studio features multiple Blue Sky 5.1 enabled workstations. Room A is equipped with 5.1 Sky System One monitoring (THX pm3 approved), and Room B features a 5.1 Pro Desk system. 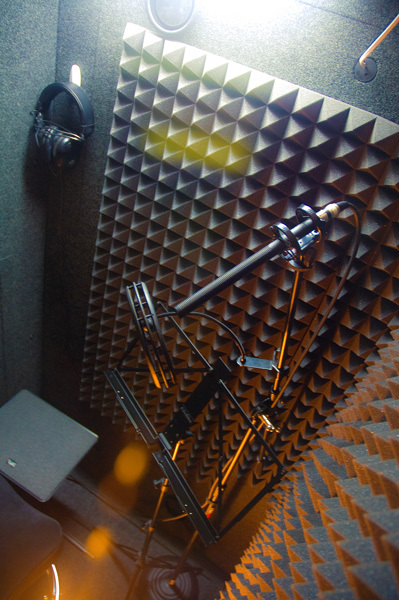 Additional studio features include full 3D HDTV viewing playback and a Whisper Room isolation booth. All rooms run Pro Tools 12 HD. Plug-ins include Cedar DNS One, RX 6 Advanced noise-reduction suite, Penteo 7 Surround, Revoice Pro, WNS, Dolby Media Meter, Surcode for Dolby Pro Logic II and Dolby-E, Spanner, and many more. Editing software includes FCP 7 and Adobe CC. Contact for full software and plug-in lists. The facility also includes a break room complete with pinball, television and classic video games.